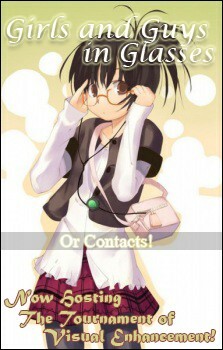 Girls and Guys in Glasses (or Contacts)! Today our Character of the Month and Character of the Year competitions have probably been frauded. In a short time (couple of hours) we have received an huge amount of votes. Even more than what we normally get in total. Characters who had close to no votes at the beginning of the day ended up overpowering their opponent. Thus, our admins did a little research and we found some accounts in our member list that were made around the same date, their last online was the same, they didn't have a profile picture or an anime/manga list etc. But they all joined the same clubs. Yours as well.